What is True Health Coaching? Ever notice how successful people become successful by gaining advice from mentors? Oprah had Maya Angelou, Bill Gates has Warren Buffett and Plato had Socrates. A True Health Coach can act as an advisor, a teacher, a sounding board or even a counselor. Dave has been True Health coaching for over a decade to help people take the steps necessary to do or become what is important to them. Combining his expertise in dietary supplement advising, personal training, nutrition counseling, corrective exercise training, and personal well-being coaching, Dave has become a respected True Health Coach. 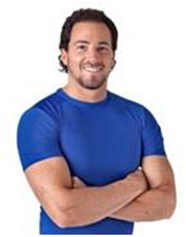 True Health Coaching means you have Dave as your coach, either in person, online or over the phone. At the moment, Dave’s schedule is booked and True Health Coaching is not available. However, if you are interested, e-mail dave@truehealthunlimited.com to request information on future availability and rates. ← What Is Corrective Exercise?